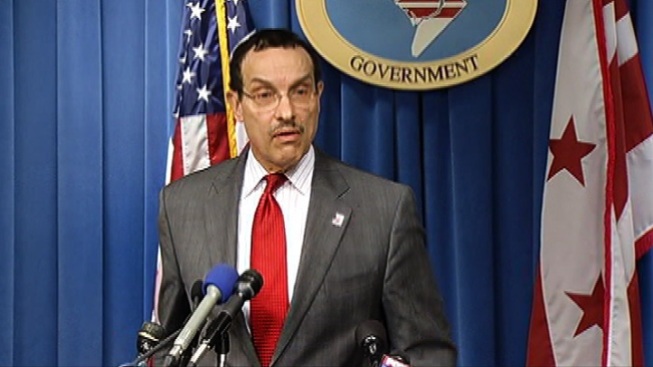 Following is Mayor Vince Gray’s speech from his 2014 reelection campaign kickoff event at THEARC in Washington, D.C.
How about a big hand for Mike McCoy and Voices United. That’s homegrown talent. Let’s hear it for the Indigo Project Trio from the Levine School of Music. The Levine School does great work in this part of the city. I want to thank them for offering scholarships and helping students grow as artists. We showcased some fantastic local talent here today. We’re also in the company of people with deep roots in our community. I want to thank Rev. Dr. Ronald Braxton, Pastor of Metropolitan African Methodist Episcopal Church for his moving invocation. And how about a big hand for the students who led us in the Pledge of Allegiance. My dear friend Carrie Thornhill reminded us of our shared responsibility to nourish, inspire and create opportunity for tomorrow’s generation. Carries’s dedication to children and building strong communities is inspirational and longstanding. Leadership begins with commitment. And we lead by example, not through words. Jerry Moore is a remarkable and distinguished resident of our great city. Any endeavor is stronger with his steady hand on the rudder. I want to thank Jerry for chairing our campaign. Thank you, Jerry. Our campaign is led by co-chairs, too. Judith Terra’s dedication to the arts and philanthropy spans the ideological spectrum. Her generosity is limitless. Thank you, Judith. John Tinpe is co-chairing our campaign, too. John is a restaurateur and a hard-working civic leader. His “can do” approach to tackling challenges is something I admire. Thank you, John. We’re building a strong campaign with supporters from every neighborhood and from every ward. Each Democratic candidate needed 2,000 signatures to get on the ballot. Please give a huge round of applause to our supporters who collected signatures in the cold, in the rain, in snow and sleet, and over the holidays. We needed 2,000. They collected more than 8,200. Campaigns and elections are about the future. A good candidate must answer two basic questions: what do you plan to do AND how do you plan to do it? We have big plans and a record that proves we can accomplish them. But, before we talk about the future, I want to say something about the past. Everyone knows that our 2010 campaign had shortcomings. I have spoken with people in living rooms, backyards, barber shops and on sidewalks. I have apologized to family, friends and colleagues. I know that the 2010 campaign caused many people great pain. I know that our city suffered embarrassment. Today, I apologize to you for the pain that my campaign caused. I ask for your forgiveness. Although I cannot apologize for the misdeeds of others, the 2010 campaign was my campaign, and I am deeply sorry for the pain and embarrassment it has caused. I have worked hard to earn your respect and honor you these past three years. I have put my shoulder to the stone and used the strength that you give me. Every day I come to work committed to doing the job you elected me to do. It is time to turn the page. I know that some journalists and our opponents want you to focus on the past. I know that some reporters prefer a circus to a thoughtful discussion of issues. I know that they care about ratings and selling newspapers. I have dedicated my entire career to our community. From the day I graduated college to this morning when I greeted the new day, I have worked on behalf of you and the neediest among us. We cannot be mired in the past. Our city is vibrant and growing, but too many residents are still living without jobs, the security of a stable home, or the certainty of a warm meal. While the city experienced economic development throughout the past decade, too much of it was scattershot. Too little reached the people in greatest need. Too many went without work. My administration set out in a new direction. We brought every group to the table and have worked together to foster development that benefits every District resident. And our efforts are bearing fruit. You can see it all across the city. Unemployment in our poorest neighborhoods has fallen significantly. If we stay the course, if we double-down on our commitment, if we refuse to accept anything less than success, we will see everyone in our city thrive and prosper. Just look what we have already accomplished. In 2013, our students achieved the biggest gains of any state and any big city in America. District students, led by District teachers, posted the single largest improvement in the United States. We've rebuilt and renovated schools all across the city, including both Anacostia and Ballou High Schools right here in Ward 8. And we are building state-of-the art facilities all across our city where our children are learning the skills they'll need to compete and thrive in a 21st Century economy. Every year, we are providing parents with more educational options for their children. New charter schools are opening and our traditional public schools are offering programs that are the envy of school districts across the country. Our universal pre-K program is the most robust and well attended in the nation. It has been heralded by President Obama’s Secretary of Education as a national model. 70 percent of our 3-year-olds and 92 percent of our 4-year-olds are in school. Our work is not done, but our schools are heading in the right direction. And while we’re talking about work, how about this: in the past three years we have created more than 25,000 new private sector jobs in the District of Columbia. Many of those jobs went to District residents, and we will continue to insist that employers hire more and more of our residents. We developed the One City One Hire Program, and it's put nearly 9,000 of our friends and neighbors back to work. Unemployment in our hardest hit Wards continues to drop. Citywide, it has fallen from 11.2 percent to 8.6 percent today. And while still high here in Ward 8, unemployment has dropped from a staggering 25.4 percent to 18.2 percent. We are teaming up with unions and the private sector on job training programs that are helping our young men and women enter the workforce. The job market is very competitive and we are helping District residents to compete. But even with all this success we still face challenges. Our city is getting more expensive. Everyone feels it. And for our residents with the fewest resources, sometimes what they feel is fear. Fear that they are not able to makes ends meet. Fear that they cannot afford to live here anymore. Fear that they will have no place in our great city. Thousands of long-term residents, many of whom are senior citizens, held this city together during its toughest times. They stayed, they sacrificed and they forthrightly faced challenges when others fled. Today, people move into the District of Columbia because it offers opportunity and a wonderfully diverse culture. We must not forget the residents who held our city together. They should not be afraid that soon a home in our city will be entirely out of their reach. That's why I committed the District to an unprecedented investment of $187 million in affordable housing. We are on track to create or preserve 10,000 units of affordable housing by 2020. That’s 10,000 homes where people can raise a family and pursue their dreams more comfortable knowing that they have a place in the District’s future. And we will honor our senior citizens, the backbone of this city, by guaranteeing that their golden years are not filled with worry, but instead filled with pride. Our city is strong. The people who live here make it that way. We’ve stood tall during tough times. We’ve faced great challenges, many of which are not of our own doing. Did we yield to Congress when their dysfunctional shutdown threatened to choke our finances? No. We stayed open for business! We let the nation know that every person in our great city is essential! I stood up to Congress and was able to say “NO” to leaders on Capitol Hill because the 646,000 people who live here have my back. And please know that I have your back, too! We have a lot of work to do. But we are the people to do it. I look around this room and I see folks from every part of our city. I see enormous talent and tireless dedication. I see white, I see black, I see brown, and every color in-between. I see straight, I see gay, and I see transgender. I see rich and I see poor. But above all, I see what makes us the greatest city in the greatest country on earth, I see a community. The District of Columbia has always been my home. It is an honor to advocate for the people and communities of our great city. It is my life’s work. I ask that you continue to stand with me. I will continue to work tirelessly for you, and together we will accomplish what we set out to achieve. This is an election we must win. We’ve come too far to turn back now. We are bringing together young and old, black, brown and white, Latino, Asian, immigrants from throughout the world, gay, straight, able and disabled. We are creating a city that every District resident is proud of. A city that embraces, nurtures and empowers every one of us. ONE CITY, indivisible with liberty and justice for all.